When Neil Harbisson gets out of a car, the antenna coming out of his head sometimes gets stuck in branches. It's one of the things he had to get used to when he became a cyborg. 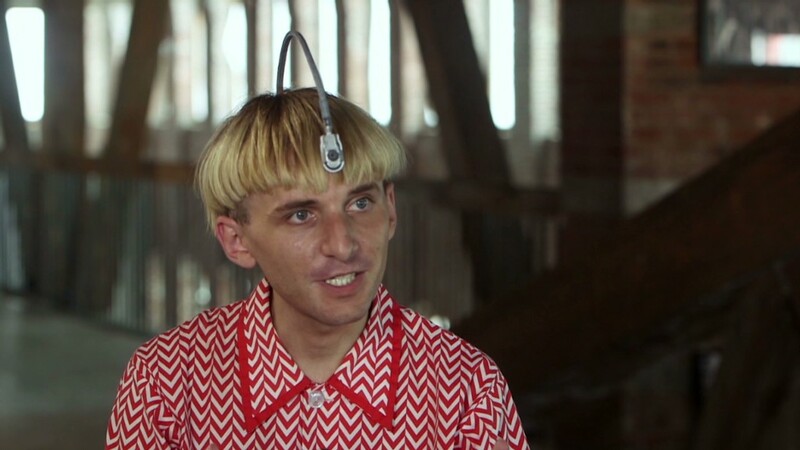 Protruding from the back of Harbisson's skull is a metal antenna that allows him to convert the frequencies for color into frequencies for sound and vice versa. He was born colorblind and the appendage has essentially given him a sixth sense to make up for what his vision lacks. To see Harbisson walk down the street is to see the convergence of wearable technology, reconstructive surgery and art ... with a touch of hipster. But it's also the hallmark of a growing trend: As technology takes over our lives, some people are inserting it in their bodies. Cyborgs are people who use technology to enhance their senses or natural human abilities. Amal Graafstra sells implantable RFID chips through his website, Dangerous Things (he has an RFID chip in each hand). Traffic has increased from one sale a week in 2012 when he launched the site, to at least one a day now. He sells two different injection kits, for $57 and $99, and he estimates that he's sold two to three thousand chips total. Cyborg parts come in different shapes and sizes. Harbisson's antenna makes him significantly taller. It extends over his head and drops just in front of his eyebrows, roughly four inches above his hair at its high point. He says his new height has been one of the tougher adjustments: He frequently needs to duck when he walks under low-hanging trees and forgets about it as he tries to clear doorways. Moon Ribas, Harbisson's partner, has an extension she wears on her arm that makes her body vibrate when there's an earthquake. (She plans to one day have it implanted under her skin.) As a choreographer, Ribas takes inspiration from nature and thought the extension would enhance her creativity. It syncs with an app that collects data on earthquakes around the world to make her body vibrate when there's seismic activity (it happens frequently enough that she vibrated once during our interview). But the appendage cannot be submerged in water, and neither can Neil's. They are both hoping to update their devices so that in the future they can go swimming. "Then I will be able to perceive the colors in the ocean," Harbisson says. Harbisson gets visibly dizzy when his antenna is off center. Moving it slightly to the left, he closed his eyes and said, "If I do this, I feel unbalanced...it does feel like a body part, an extension of a bone or something." Even though the antenna is metal and has no nerve endings, Harbisson says he can feel when someone touches it, the same as a natural body part. "Sometimes security guards ask me to remove the antenna," Harbisson says. For years, people have assumed his appendage was intended for nefarious or invasive uses. In 2006 (when it was still in the test phase and not permanently implanted), people thought it was a microphone and asked him to stop recording; in 2009, they thought it was a Bluetooth telephone; today they assume it's a video camera. Now that the antenna is a permanent fixture within his body, when he's asked to take it off, he simply says he can't. The range of reactions Harbisson says he elicits spans from laughter to scowls. He says people shout at him and have even thrown things. He's come up with a simple antidote: He's leaving Spain, where he lived for many years. "That's why I'm in New York, 'cause in New York I feel more normal."